Opioids are a class of drugs derived from the opium poppy plant. When taken as prescribed, these drugs help to relieve chronic pain. 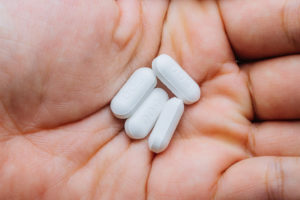 Opioid medications work by lessening a number of pain signals that your body sends to your brain, as well as changing how the brain responds to these signals. Although generally legal, the United States Drug Enforcement Administration schedules opioids as controlled narcotics, due to their extremely addictive properties. The class ranges anywhere from I to III, depending on the substance in question. Opioid Addiction is a potentially life-threatening disorder if left untreated. Please call Restore Drug Detox Treatment at (888) 979-4570 if you or a loved one needs help breaking free from opioid addiction. What are the Main Categories of Opioids? Semi-Synthetic – a substance containing both natural and synthetic compounds. Heroin is one example. The severity of withdrawal symptoms will depend on the amount, frequency, and type of drug responsible for the opioid dependency. In most cases, the physical symptoms of opioid withdrawal will begin to peak between 48 and 72 hours after the last dose. During this time it is necessary to be under supervision in a licensed detox facility, as dehydration can lead to convulsions. Some drug detox rehab facilities offer medications such as Suboxone and Subutex to alleviate particular symptoms of withdrawal, whereas other treatment centers offer a natural detox as a healthy alternative. Many people mistakenly assume that addiction ends after the completion of detox. This is entirely incorrect, as addiction recovery is a process and not a single event. Addiction is just as much a mental disease as it is physical. Following the detoxification process, patients must continue on in their recovery through quality addiction treatment programs. Restore Drug Treatment Center offers the programming needed to help you get back on your feet. From traditional therapies, such as individual, group and family therapy, to alternative treatment programs, Restore Drug Rehab LA provides clients with the tools and skills for long-term success in recovery.